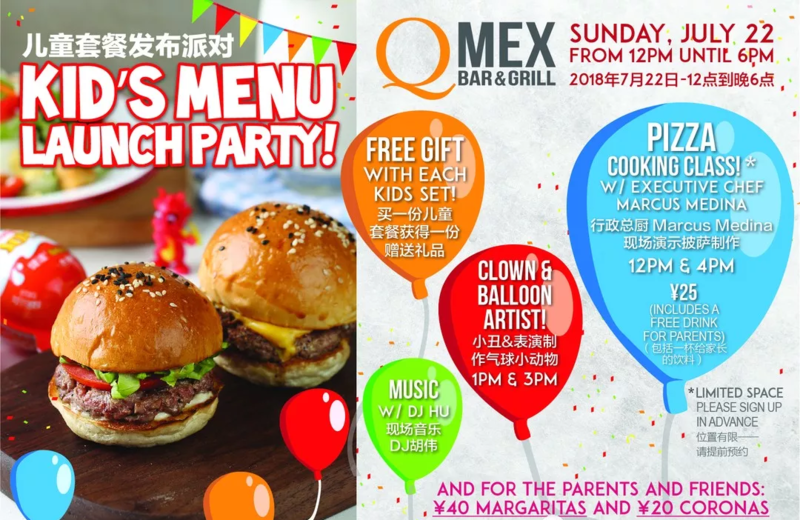 QMex Shuangjing will be hosting a party this Sunday, July 22, to celebrate the launch of their new kids’ menu. The party will be running from noon to 6pm, with various fun activities. Highlights include shows presented by a clown magician and a balloon artist, and two sessions of pizza cooking class. The pizza cooking classes will be led by QMex’s executive chef Marcus Medina, starting at noon and 4pm respectively, with an admission fee of RMB 25 including a free drink for parents. Reservations for the cooking class are recommended (8770 0668). And of course there will be a wide range of food options for kids: mains, side dishes, drinks and desserts. Special sets will be offered at RMB 65 including a choice of main, a choice of side, and a choice of drink, and a gift of a Kinder Joy egg (dessert is , another RMB 10 for a dessert. The special set is specially for kids under 12 years old. 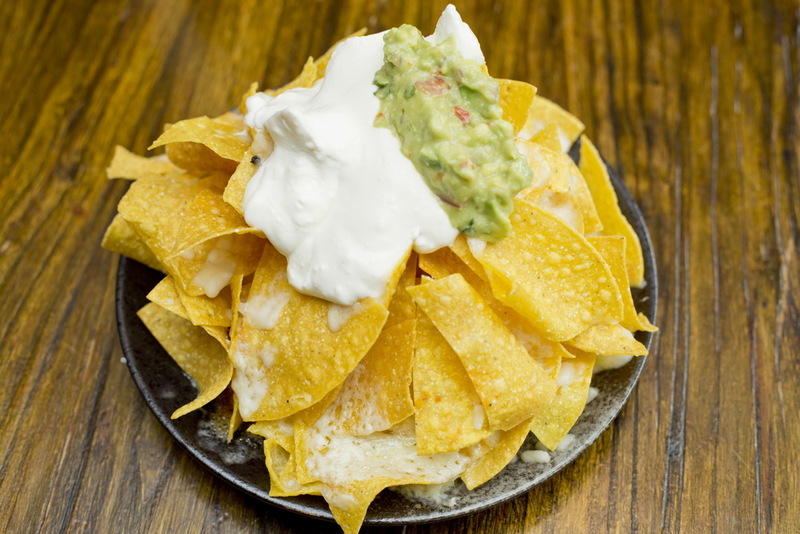 For the parents and adults friends, there will be margaritas and coronas specially priced at RMB 40 and RMB 20 on offer. Noon-6pm. Free entrance (charges apply for pizza cooking class and orderings); QMex Shuangjing (1F, Space 3 building, Landgent Center, Chaoyang District; 8770 0668).